Our Early Bird Subscription campaign is on now… subscribe by May 15 and save! After spending 5 years with Cirque du Soleil’s Totem, performing over 1500 shows in 25 cities for more than 3 million people Greg brings his craft to Coquitlam. Told through music and dance inspired by the jazz age, Glory is a thrilling hockey story that proves a woman’s place is on home ice. After scheming his way into a short mental institution stay over a prison sentence, a charming rogue causes mayhem among his fellow patients and enrages the head nurse. This exhibition goes behind the scenes to explore the world of Biidaaban (The Dawn Comes) (2018), the newest short film by Michif interdisciplinary artist Amanda Strong. 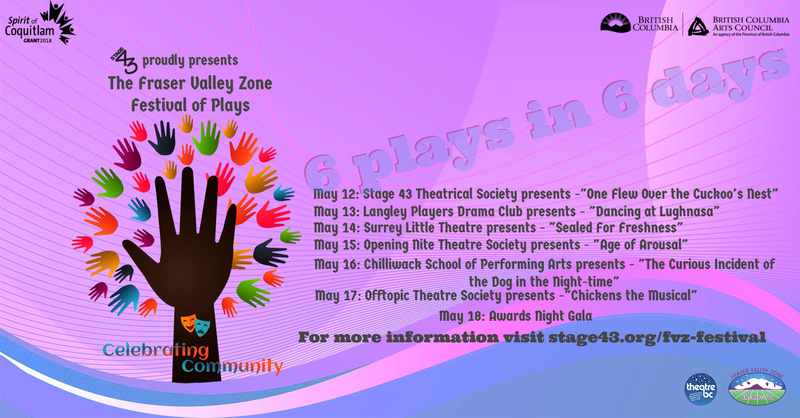 Stage 43 is proud to be hosting a week-long theatre festival in May, bringing together local theatre groups from around the area for the Theatre BC Fraser Valley Zone Drama Fest. Are you looking for a full list of events? View our shows by SERIES below OR view our full CALENDAR (includes rental events). 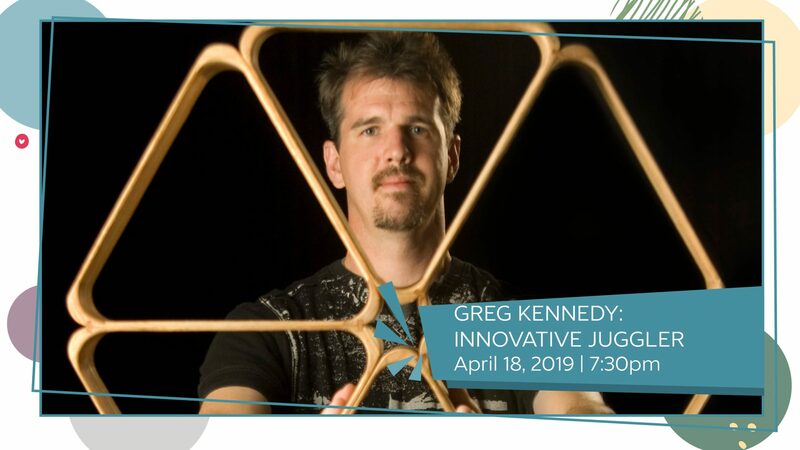 After spending 5 years with Cirque du Soleil’s Totem, performing over 1500 shows in 25 cities for more than 3 million people Greg brings his craft to Coquitlam. He has a long and adventurous career as a juggler – from winning the Gold medal at the International Jugglers’ Association Championships, to performing on five different continents, he’s been featured on the cover of Juggle magazine, appeared on the Tonight Show, and received over two million views on YouTube. Now see him live! Western Canada Theatre in association with Alberta Theatre Projects A Hockey Story that Swings! In 1933, four friends set out to prove to Canada that hockey isn’t just a sport for men. A Hockey Story that Swings! In 1933, four friends set out to prove to Canada that hockey isn’t just a sport for men. But with the Great Depression weighing heavily on the nation and political tensions rising in Europe, can they overcome the odds, and people’s expectations, to forge their own path to glory? 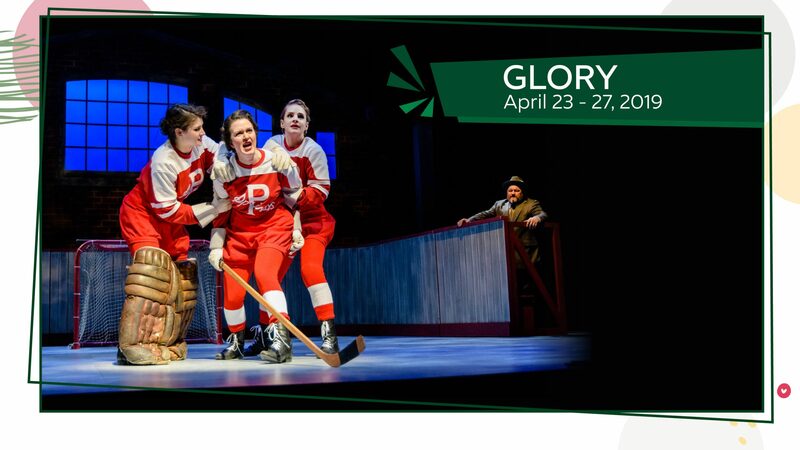 Told through music and dance inspired by the jazz age, Glory is a thrilling hockey story that proves a woman’s place is on home ice. Western Canada Theatre is an active member of the Professional Association of Canadian Theatres (PACT), and engages, under the terms of the Canadian Theatre Agreement, professional artists who are members of Canadian Actors’ Equity Association. Western Canada Theatre acknowledges the generous support of Canadian Actors’ Equity Association for this production. 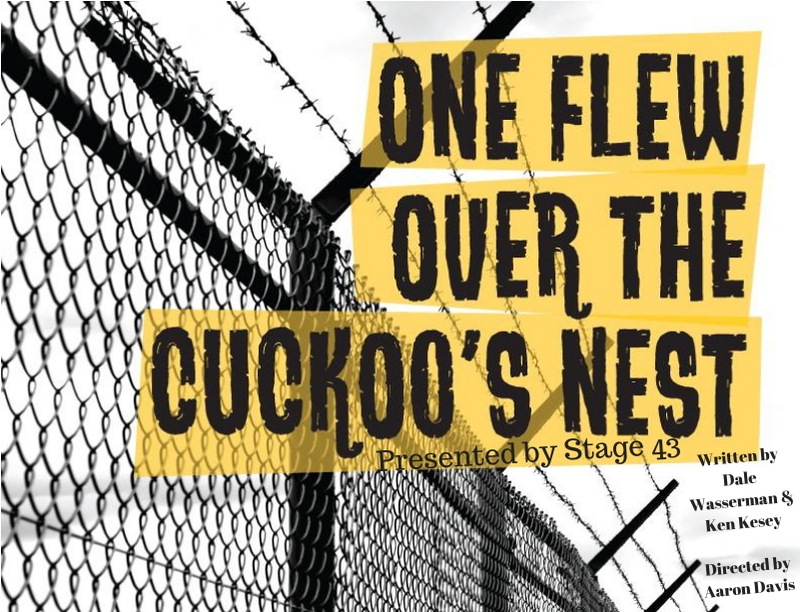 by Dale Wasserman and Ken Kesey, directed by Aaron Davis. 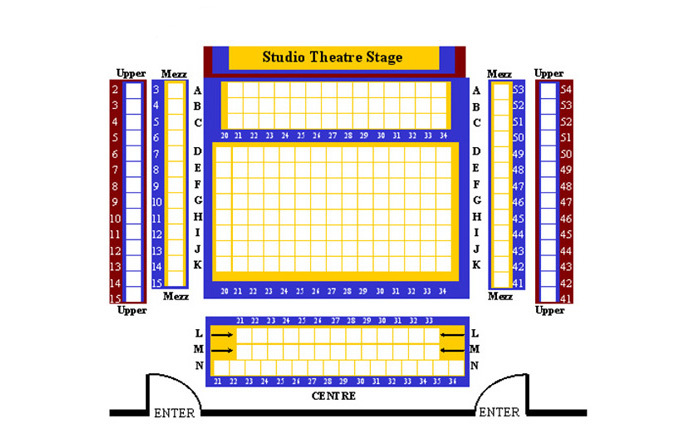 FOR SUBSCRIPTION INFORMATION PLEASE VISIT STAGE43 WEBSITE. Single Tickets go on sale September 1. OPENING RECEPTION: Tuesday, May 7, 6:30–9 pm. Welcome remarks, followed by a tour with the artist, begin at 6:30 pm. This exhibition goes behind the scenes to explore the world of Biidaaban (The Dawn Comes) (2018), the newest short film by Michif interdisciplinary artist Amanda Strong. Accompanied by their friend, a 10,000-year-old shape-shifter known as Sabe, Biidaaban sets out on a mission to reclaim the ceremonial harvesting of sap from maple trees in an unwelcoming suburban neighborhood of Ontario. 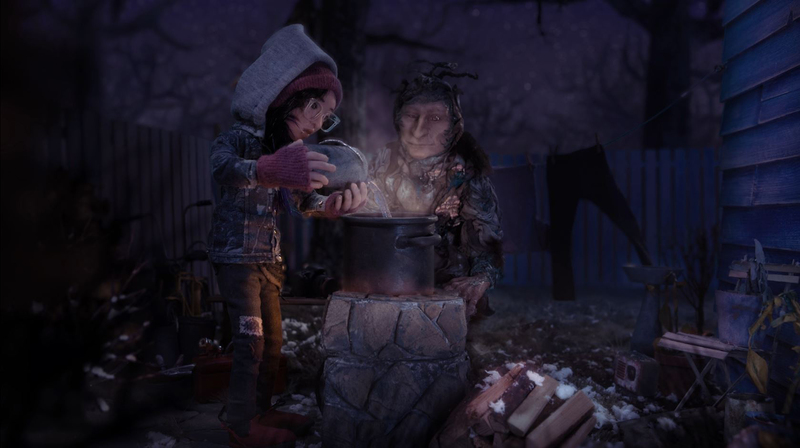 Driven by the words of Anishinaabe writer Leanne Betasamosake Simpson, Strong’s mesmerizing stop-motion animation intricately weaves together multiple worlds through time and space, calling for a rebellion. The exhibition invites visitors into the world of Biidaaban and into Strong’s process by gathering together the elaborate puppets, sets and storyboards used to animate this story. Image: Amanda Strong, Biidaaban (The Dawn Comes), 2018, film still, Courtesy of Spotted Fawn Productions Inc. Stage 43 is proud to be hosting a week-long theatre festival in May, bringing together local theatre groups from around the Fraser Valley to entertain audiences and to enhance their own skills through professional adjudication. This amazing event is part of one of the longest-running theatre traditions in Canada. Theatre BC’s Mainstage is an annual festival for community theatre groups throughout BC. Winning plays from each of the (up to 10) zone festivals come together for friendly competition at the provincial level. The play chosen as “Best Production” at our festival in May will represent the Fraser Valley Zone at Mainstage, which is taking place this year in Port Alberni from July 5–13. Stay tuned for more information, including volunteer opportunities and information on how you can obtain tickets to this exciting week-long theatre event! Click on MORE INFO below for show schedule and ticket information! Please click on show links to buy SINGLE tickets. Call box office for 6-show and 3-show passes. What’s your story? Paint and draw images to create a set of story stones that represent characters, symbols, settings and actions to inspire your next tall tale.